The complex electronics required to create a convincing First-Person View (FPV) experience often requires a high level of expertise and critical arrangement of components. But now, thanks to E-flite, there’s a simpler way. 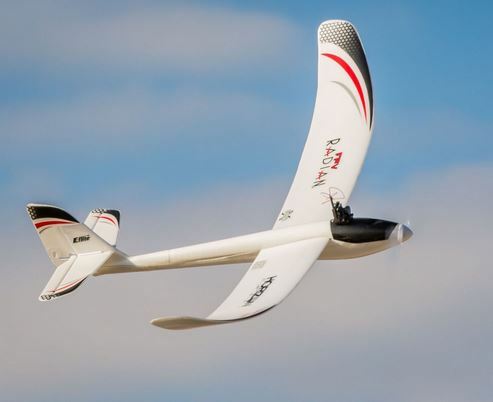 The FPV UMX Radian aircraft is an evolutionary first-person view platform that equips a great flying airplane with easy-to-use ultra micro electronics. The included Spektrum VA1100 ultra micro airborne FPV system is ready to be installed on the airframe and is compatible with any Fat Shark 5.8GHz FPV headset or video monitor. It’s two-in-one combination camera/transmitter unit features a circular polarized antenna for superior range and is powered by the included 150mAh 1S 3.7V 25C Li-Po flight battery. AS3X stabilization technology reduces the effects of wind and turbulence to keep flight performance as smooth as possible. A proportional three channel radio system makes maneuverability simple, while an efficient power system delivers impressive climb performance. Transparent prop blades help keep the camera view as clear as possible. 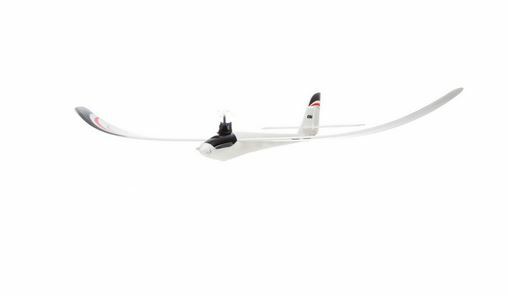 For maximum glide efficiency when the motor is off, the prop blades fold backwards. 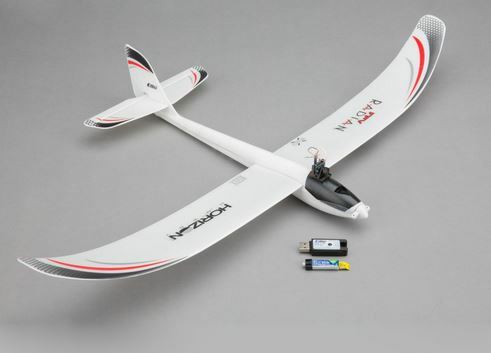 The included E-flite 150mAh 3.7V 1S 25C Li-Po flight battery can be charged with the included USB charger. The FPV UMX Radian gives pilots an RC experience that’s so immersive that they’ll feel like they’re flying in a full-scale aircraft. Click through to HorizonHobby.com for more information or to pre-order!